Citing accuracy and effectiveness in determining Rio Grande Valley growth, U.S. Rep. Vicente Gonzalez, D-McAllen, penned a letter urging the U.S. Census Bureau to open a regional office in the Valley. 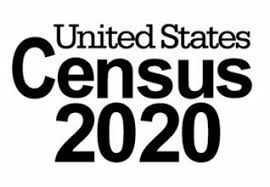 Addressed to Ron Jarmin, acting director of the bureau, Gonzalez’s Sept. 27 letter asked for the “prompt” opening of a Valley office “to ensure an efficient, effective and accurate” 2020 census. The congressman’s letter stems from concerns of the bureau’s ability to conduct an accurate count of Hidalgo County residents and indicated the bureau received $164 million less from congress. Gonzalez was also critical of past censuses “improperly” surveying the county’s population. He cited “a pattern of undercounting” in his letter and seeks to help the bureau obtain funding for “comprehensive” and timely censuses.